Safety First AND a sense of humor! 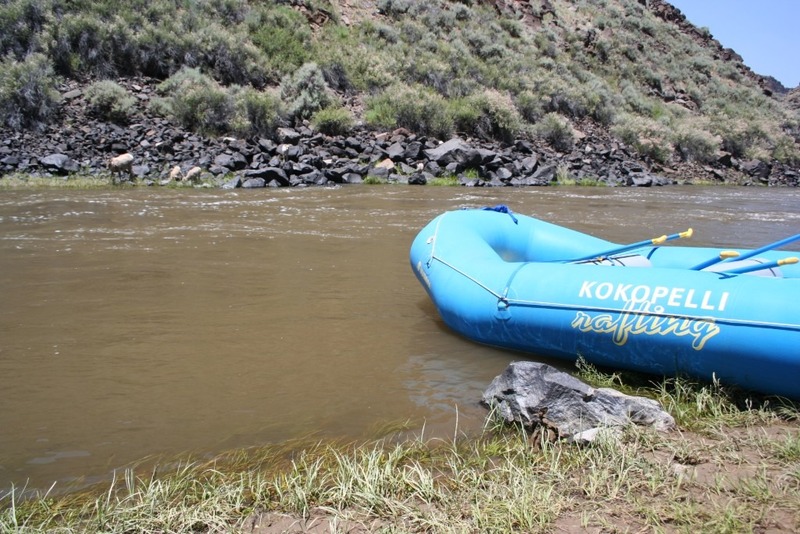 “My friends and I rafted the Taos Box with Kokopelli. 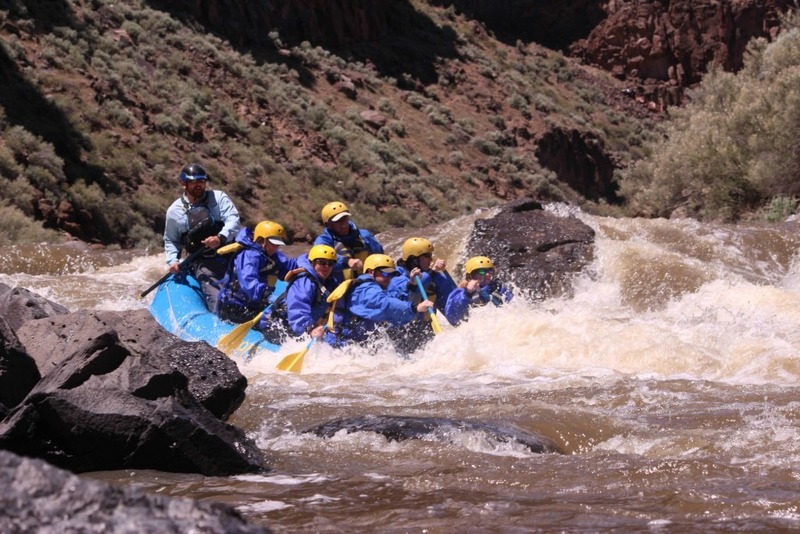 I was initially really nervous about the rapids, but the guides explained everything thoroughly and I felt prepared and excited going into it. Our guide, Avery, was absolutely fantastic! She was funny and had all sorts of information to share about the area and the river. She knew the river like the back of her hand, and even while joking around and making the ride more fun, she always had her eyes on the water and I felt safe the whole time. The process, from pickup to loading, went extremely smoothly, and all of the guides were professional and well-organized. 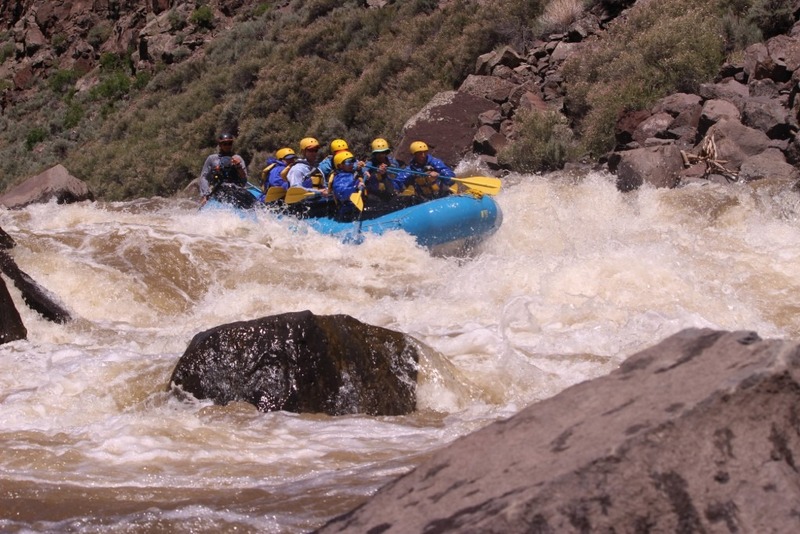 The “Box,” perhaps the premier one-day wilderness trip in the US, contains the most advanced class IV whitewater in New Mexico. This 17-mile trip starts just northwest of Taos. 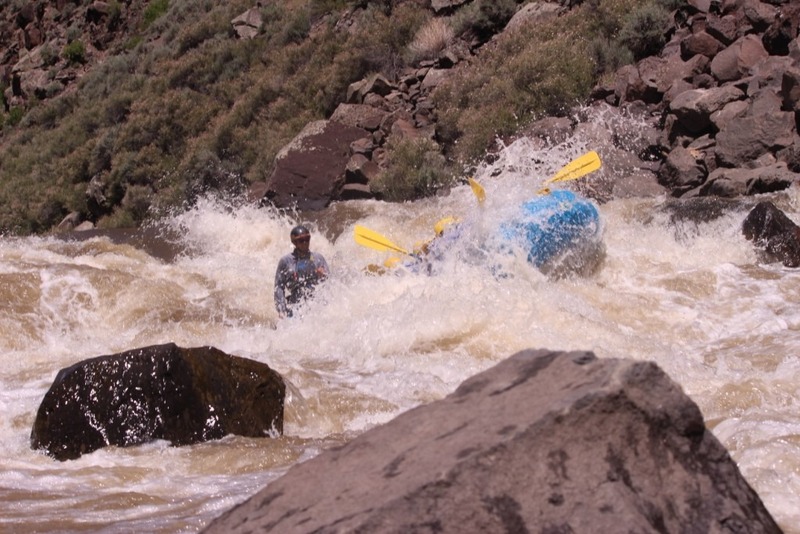 We float through relatively calm water for a few miles, practicing our teamwork and paddle strokes for the demanding rapids downstream, including Ski Jump, Dead Car, and Powerline Falls. 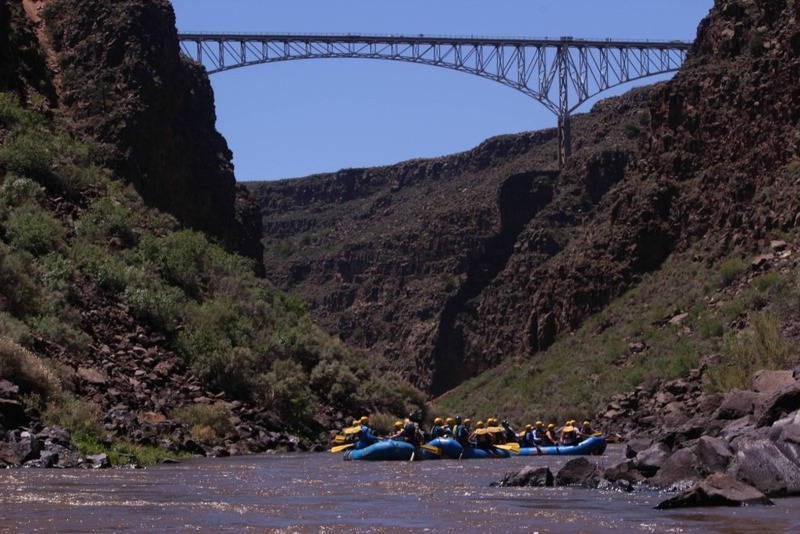 As the gorge deepens and the whitewater increases, we’ll still take time to look around at the beauty of northern New Mexico, possibly spotting a bald eagle high on the cliff-tops or a great blue heron on the river’s edge. 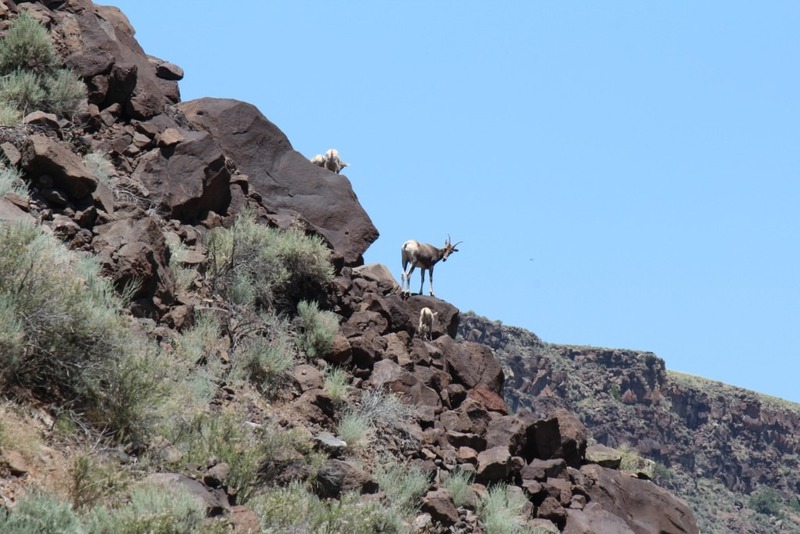 Bighorn Sheep are almost always spotted on this incredible New Mexico raft trip. The last two-and-a-half miles of the “Box” are known as the “Rio Bravo,” or wild river, section. Here we challenge one class III or IV rapid after another, then catch our breaths, before dropping into the grand finale, Sunset Rapid. 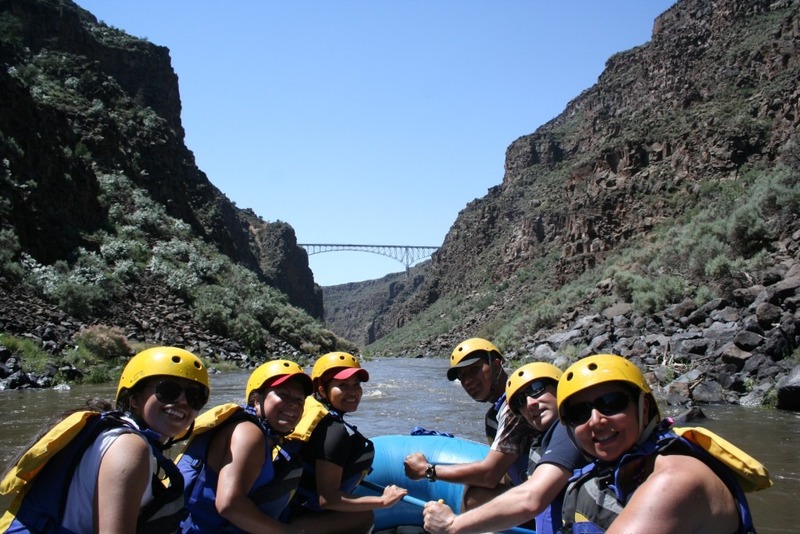 This river rafting trip is demanding but unsurpassed in its combination of excitement and wild beauty. A fresh, all-you-can-eat buffet lunch is included, as well as polar fleece tops and full splash suits to keep you comfortable. Minimum age on the Taos Box is 13, although at some water levels we advise that guests have the physical stamina to fully participate. The Taos Box runs from April through mid-June in a typical year, and into July during years with exceptional snow-pack. 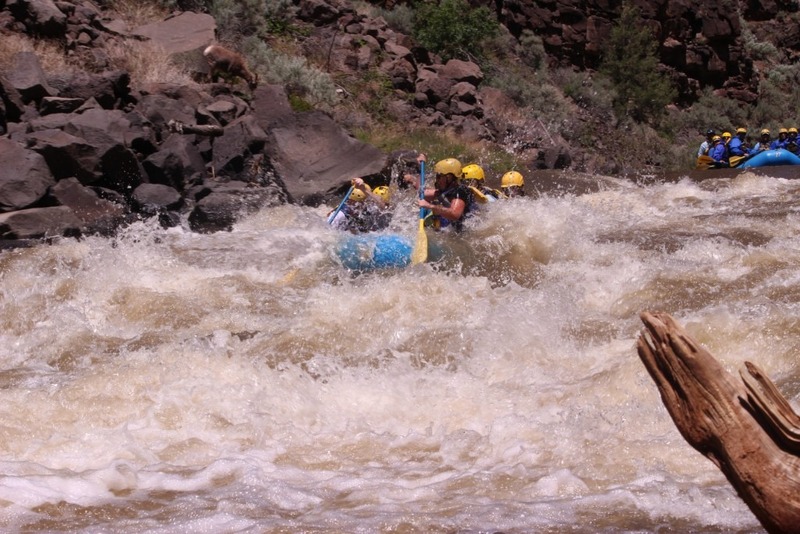 This trip is for the adventurous, physically fit thrill-seeker, and features sections of continuous whitewater, especially during higher flows. Price: $115* per person weekdays. $125* per person weekends. 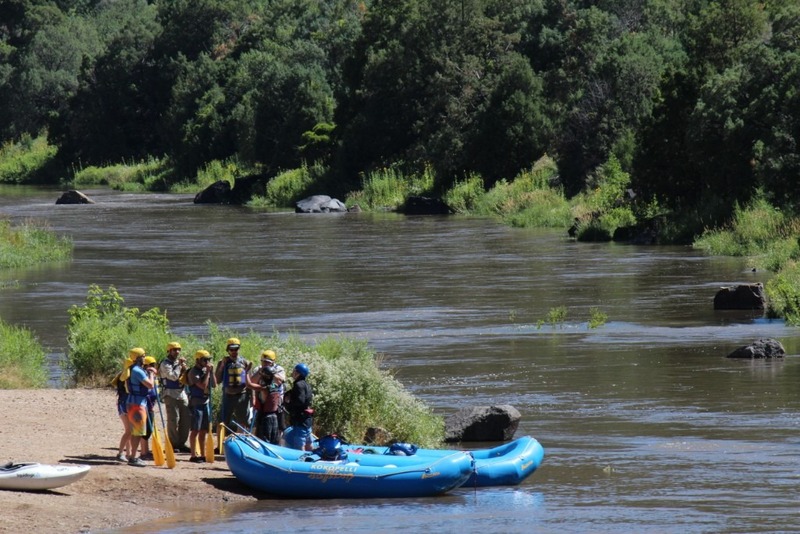 Participant Requirements: Must be in generally good physical fitness, have the ability to brace yourself inside the raft, and paddle periodically as requested by the guide. Must be age 13 and up. Participants over 225 lbs in weight require additional screening.